Did you know that weeds actually grow faster than other plants? An irritating fact of nature, to be sure, but weeds do indeed grow faster than regular plants. It�s nature�s way of repairing �disturbed� areas of soil. Theoretically this is to repair the forest after a big storm or bushfire. But the practicality is that general, everyday gardening is perceived to be a �disturbance�, so how does your garden repay you? By growing more weeds! This kind of �round-and-round-the-mulberry-bush� chasing of the perpetual weed cycle is enough to do your head in. After all, how do you combat an enemy who responds to their destruction by instantly re-birthing (it�s a little bit zombie-ish when you think of it that way�)? A proud specimen of Mother England, but in Australia it is a noxious weed, responsible for rotting out fences, destroying red brick homes and spreading like the plague. Springing up seemingly overnight, spear thistles are big, ugly and spread out in every direction. A single thistle, left alone, will soon produce a field of thistles. Brought into the limelight by celebrity chefs (thanks Jamie Oliver), fennel was embraced by foodies across Melbourne, who eagerly planted them in their gardens�and have been battling to control their growth and spread ever since. The fruit may be a delight to children across Melbourne, but have you ever tried to curtail the growth of a blackberry bush? No doubt it is a painful memory, as their thorns attack from all sides. Weed control companies are abundant, but if a gardener isn�t familiar with the various weeds they�re dealing with, then how can they be successful at controlling them? 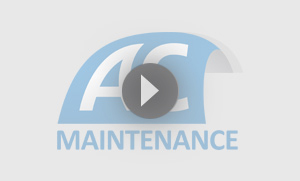 AC Maintenance�s two directors have over 50 years of experience in garden maintenance and horticulture. This experience and knowledge makes them one of the foremost weed control services Melbourne can offer. Their weed removal services gives clients the very best in weed maintenance, ensuring weeds are eliminated before they become a big problem. So don�t struggle on blindly in your attempts at weed control. Instead, save yourself time, money and frustration by calling in the experts who can get it right the first time. Whether you require some basic pruning, general thistle removal or an all-out weed extermination, AC Maintenance are the weed control company for the job, servicing Melbourne and the south-east suburbs.